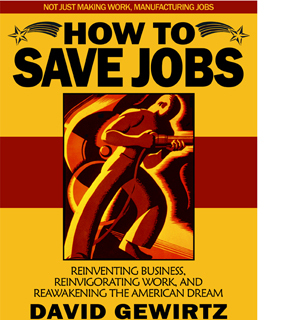 Editor's Note: This article continues our 8-part series excerpted from the "Healthcare Hostage Crisis" chapter of AC360 contributor David Gewirtz's upcoming book, How To Save Jobs, which will be available in October. To learn more about the book, follow David on Twitter at http://www.twitter.com/DavidGewirtz. Last week we learned employer-provided healthcare began as a marketing gimick. This week, we see the astonishing scope of the problem. As has been my trend in this book, I'm pulling facts and figures from the entities that are likely to provide the most favorable perspective for their particular points of view. This gives us the most conservative, least controversial numbers (they're bad enough, anyway). So, for health insurance related numbers, I'm using statistics provided by the Blue Cross and Blue Shield Association (BCBSA), which "provides healthcare coverage for more than 100 million people or one-in-three Americans." Want to know how many people in the U.S. don't have health insurance? The population of our 44 largest cities - combined. By using numbers from their Healthcare Trends in America 2009 Edition, we're likely to get the most conservative, least radical analysis of the situation - basically the best-case scenario. Throughout How To Save Jobs, I've done my best to make sure the numbers are unimpeachable. So let's look at what one of the nation's largest health insurance providers says about health insurance. According to Blue Cross and Blue Shield Association, citing the U.S. Census Bureau, the percentage of the U.S. population covered by health insurance has stayed relatively constant, at about 85 percent. The means, of course, that 15 percent - 46 million people, give or take the population of San Francisco - don't have health insurance. If you're like me, I'll bet you find it hard to picture just how many people 46 million people are. So try this. If you combined the populations of New York City, Los Angeles, Chicago, Houston, Phoenix, Philadelphia, San Antonio, Dallas, San Diego, San Jose, Detroit, San Francisco, Jacksonville, Indianapolis, Austin, Columbus, Fort Worth, Charlotte, Memphis, Baltimore, El Paso, Boston, Milwaukee, Denver, Seattle, Nashville, Washington DC, Las Vegas, Portland, Louisville, Oklahoma City, Tucson, Atlanta, Albuquerque, Fresno, Sacramento, Long Beach, Mesa, Kansas City, Omaha, Cleveland, Virginia Beach, Miami, Oakland, and Raleigh, you'd still have less people than the number of people in America who don't have health insurance. That's a lot of people who are completely f@#cked if they get sick. Can you see, now, how healthcare becomes a critical national security issue? We're talking the population of the top 45 cities in the United States, all who can't get healthcare. Imagine (worst case scenario) that all those cities shut down. America, as a civilization, would come to a screaming halt. And this is the best-case scenario coming directly from the health insurance industry! 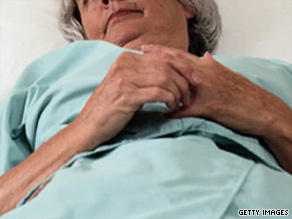 Clearly, the health insurance model isn't working. A more probable scenario comes from the AFL-CIO, who references a report a report entitled Americans at Risk, from the healthcare advocacy group Families USA. Three in five (60.2 percent) were uninsured for nine months or more. Nearly three-quarters (74.5 percent) were uninsured for six months or more. If you wanted to try to picture 86.7 million Americans, just imagine you combined all of the people living in the top 273 cities in the United States. So, in addition to everyone in cities from New York City to Raleigh being without health insurance for at least some time in the last two years, add every resident of Tulsa, Minneapolis, Colorado Springs, Honolulu, Arlington, Wichita, St. Louis, Tampa, Santa Ana, Anaheim, Cincinnati, Bakersfield, Aurora, New Orleans, Pittsburgh, Riverside, Toledo, Stockton, Corpus Christi, Lexington, St. Paul, Anchorage, Newark, Buffalo, Plano, Henderson, Lincoln, Fort Wayne, Glendale, Greensboro, Chandler, St. Petersburg, and Jersey City. Add every resident from Scottsdale, Norfolk, Madison, Orlando, Birmingham, Baton Rouge, Durham, Laredo, Lubbock, Chesapeake, Chula Vista, Garland, Winston-Salem, North Las Vegas, Reno, Gilbert, Hialeah, Arlington, Akron, Irvine, Rochester, Boise City, Modesto, Fremont, Montgomery, Spokane, Richmond, Yonkers, Irving, Shreveport, San Bernardino, Tacoma, Glendale, Des Moines, Augusta, Grand Rapids, Huntington Beach, Mobile, Moreno Valley, Little Rock, Amarillo, Columbus, Oxnard, Fontana, Knoxville, Fort Lauderdale, Salt Lake City, Newport News, Huntsville, Tempe, Brownsville, Worcester, Fayetteville, Jackson, and Tallahassee. Add every resident from Aurora, Ontario, Providence, Overland Park, Rancho Cucamonga, Chattanooga, Oceanside, Santa Clarita, Garden Grove, Vancouver, Grand Prairie, Peoria, Rockford, Cape Coral, Springfield, Santa Rosa, Sioux Falls, Port St. Lucie, Dayton, Salem, Pomona, Springfield, Eugene, Corona, Pasadena, Joliet, Pembroke Pines, Paterson, Hampton, Lancaster, Alexandria, Salinas, Palmdale, Naperville, Pasadena, Kansas City, Hayward, Hollywood, Lakewood, Torrance, and Syracuse. Add every resident from Escondido, Fort Collins, Bridgeport, Orange, Warren, Elk Grove, Savannah, Mesquite, Sunnyvale, Fullerton, McAllen, Cary, Cedar Rapids, Sterling Heights, Columbia, Coral Springs, Carrollton, Elizabeth, Hartford, Waco, Bellevue, New Haven, West Valley City, Topeka, Thousand Oaks, El Monte, McKinney, Concord, Visalia, Simi Valley, Olathe, Clarksville, Denton, Stamford, Provo, Springfield, Killeen, Abilene, Evansville, Gainesville, Vallejo, Ann Arbor, and Peoria. Add every resident from Lansing, Lafayette, Thornton, Athens, Flint, Inglewood, Roseville, Charleston, Beaumont, Independence, Victorville, Santa Clara, Costa Mesa, Miami Gardens, Manchester, Miramar, Downey, Arvada, Allentown, Westminster, Waterbury, Norman, Midland, Elgin, West Covina, Clearwater, Cambridge, and Pueblo. Add every resident from West Jordan, Round Rock, Billings, Erie, South Bend, San Buenaventura, Fairfield, Lowell, Norwalk, Burbank, Richmond, Pompano Beach, High Point, Murfreesboro, Lewisville, Richardson, Daly City, Berkeley, Gresham, Wichita Falls, Green Bay, Davenport, my own Palm Bay, Columbia, Portsmouth, Rochester, Antioch, and Wilmington. Those are America's top 273 cities and that listing vividly showcases just how many Americans went without healthcare for at least some time in the last two years, 75 percent of whom were without coverage for six months or more. This gap is particularly troubling, because if any of these people went without insurance coverage for even a short time, many insurance policies that covered illnesses and existing health conditions would reset, making conditions that were once covered into so-called "pre-existing conditions," and no longer covered. If you were to hear a news report that a pandemic had struck America, and citizens in the United States' top 273 cities were struck down with disease, it would be the horror story of the century. But here we have one in three Americans losing critical healthcare coverage (and possibly losing the chance for future care due to newly-minted pre-existing conditions), and instead of jumping to help, institutions like the AMA are fighting against fixing the system. More on that later. Why isn't the media covering the HUGE amounts of money health care companies are shelling out to campaign AGAINST reform. Employees at BlueCross BlueShield are being asked to sign cards stating they are against any type of public health care and the fear factor is being played to full affect. They say sign because you may lose job if this gets passed. Some CEO's have taken HUGE raises in the past two years. It is so hypocritical, yet I see no coverage on the campaign by these greedy healthcare companies. I agree, the future of the world maybe like the movie: "Soylent Green" with the actor Charlton Heston playing a major part in the movie. We may eventually be eating dead humans or animals, it may be of nature causes, deliberately, poison, which could eventually hurt our health even worse. People now can't seem to keep up with nature, food, needs, cost, health in reality of times now – we do die, anyhow. But, dead bodies may eventually be burnt to stop using farming land for cemetaries. We do have on earth to live our body life on now and eventually Heaven or Hell will have our spirit no matter what our body does. It's our spirit that needs to be careful in how we act and think. I do care about how and what I eat for health, weight, nature of times, sharing, and other people, too. We need to be careful for our future and especially our "Future Relatives and the earths future". Healthcare reform townhall meetings, people pay their own way to attend? I know a 76 year old woman who is going to Washington next month with her group from Florida and is receiving "aid" to pay for her travel there.Living on her social security does not afford jetting to Washington to have her voice heard. She passionately opposes reform based on fear. Fear that there are not enough doctors to treat all these people who will now have coverage. Fear that she will not be able to see her doctor when needed because now all of these people will have coverage and the doctors will have too many patients.Fear that her own healthcare needs will not be met.Shame on these organizations who are targeting the retirees receiving social security, living on very fixed incomes, preying on their fears. People with money do not want to see the poor have any relief in their lives. There will always be poor people, ghettos, and a struggling middle class. It is usually the luck of the draw. If you come from old money that lasts for generations, you have no worries. There will always be the uneducated and needy. God knows people that have do not want to see the poor slob at the bottom rung get a leg up. They are pathetic, heartless people. Lets hope they can keep their money, and never need assistance. They would then beg for the help they are trying to deter from the poor. Government is getting all confuse between regulating and doing things. I agree government should regulate and ensure affordable insurance is out there for everybody. What the government is trying to do is something completely different from that. It is insulting to see how government tries to play people with words when what is in black and white on paper is completely different from what they are trying to sell us. I wish the government and the congress would respect us as intelligent people.